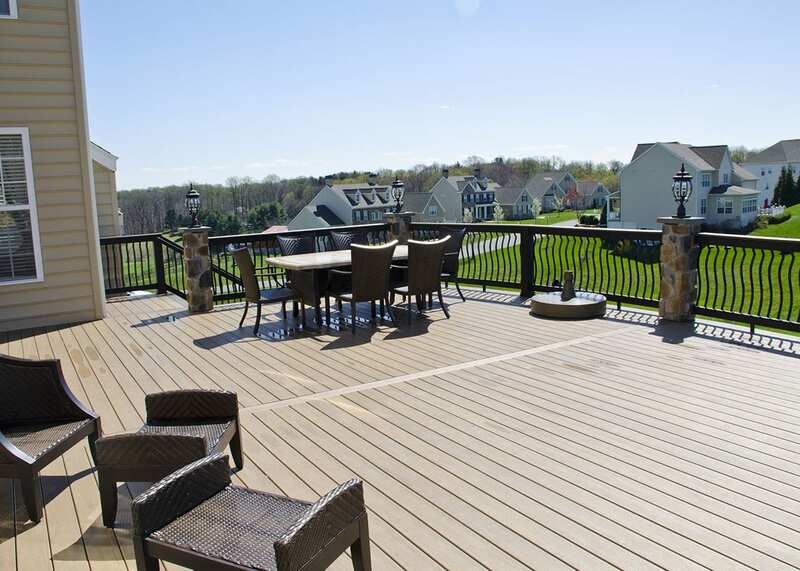 A custom TimberTech deck built with Pecan decking and mocha accents. Also installed is builder style handrail with belly balusters and custom stone columns. The space is finished off with pecan vertical decking as well as over 25 lights throughout the space. The Keystone team finished this space in the fall of 2015. We couldn’t have asked for a better group of guys to build our dream deck. They were personable, well-spoken, and hard working… not to mention their craftsmanship was excellent.